We are proud to present Ervik Surfshop Team rider – Sjur S Sætren. 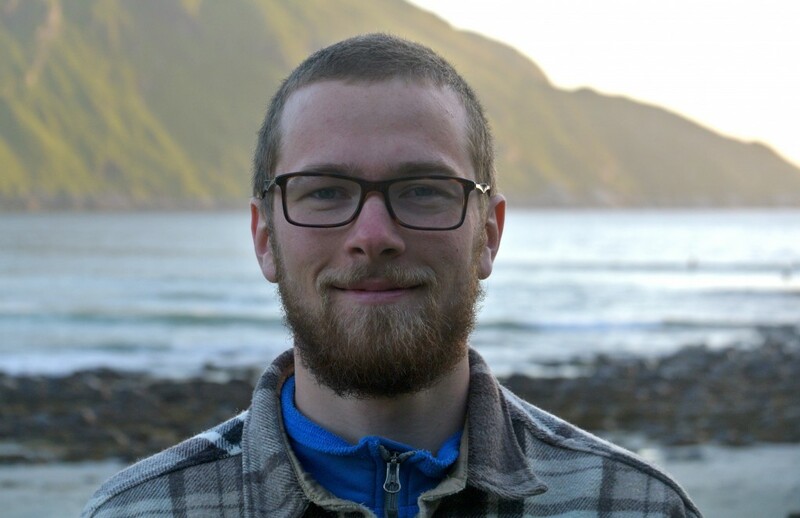 We are so glad to have Sjur onboard (!) in our team. Besides just being an awesome person, Sjur also starts to develop to a really good surfer. He is just one of those guys you meet in every conditions, surfing like it’s the most natural thing in the world, and with a big smile on his face. That’s why we love him! Surfs: 5´10 Vektor, and 5´11 Trustor. Past experience: I have a background from freeskiing – both filming and competing. Whats up Sjur!? Tell us the short version of who you are and what you are doing! A short description of my self has to include that I’m an passionate guy who tries to find a balance between being a surf bum and a psychology student. In these days I work and live in the Olympic city Lillehammer for studying while I’m traveling around as much as possible to find surf. 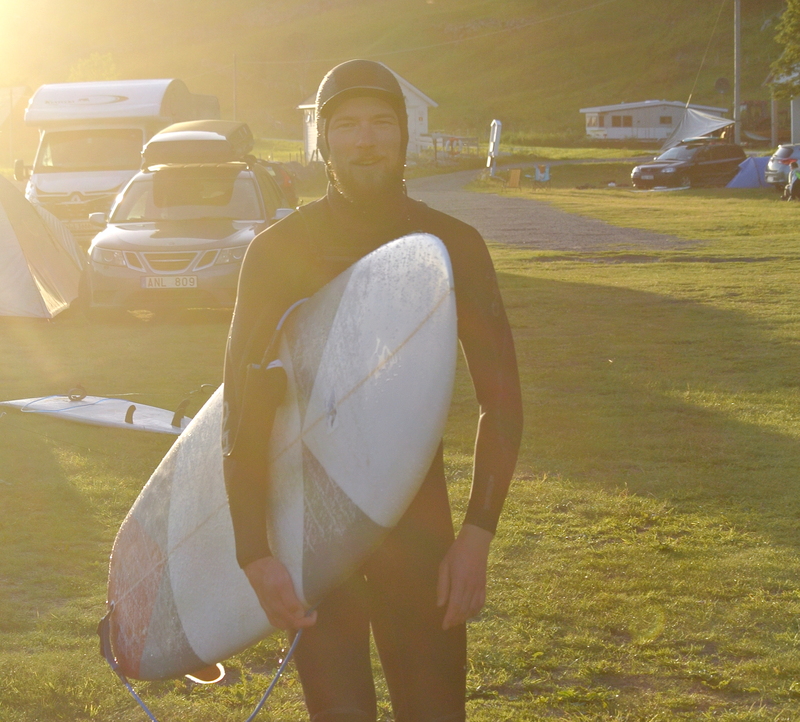 How does it feel to become a part of our Ervik Surfshop team? First of all, thank you for inviting me to be the first team rider for Ervik Surfshop. Actually, after finishing skiing I did not want to represent any brands or shops, but when you asked me to represent Ervik Surfshop it was hard to say no. Ervik Surfshop is the local surfshop at Stadlandet that offers you different types of board and shapes, including performance shortboards, fishes, single fins and longboards. 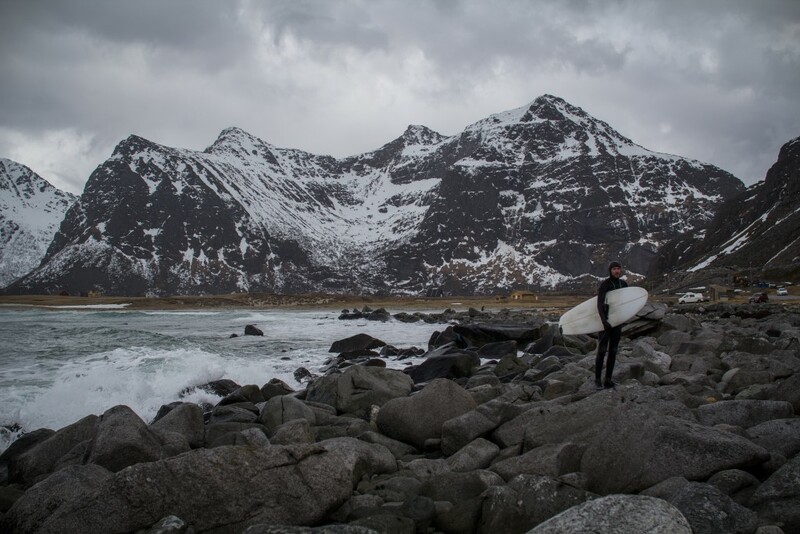 In addition to support you with boards that gives you the best time in the water for all conditions, the surfshop is located in some of the most beautiful landscape in the world. 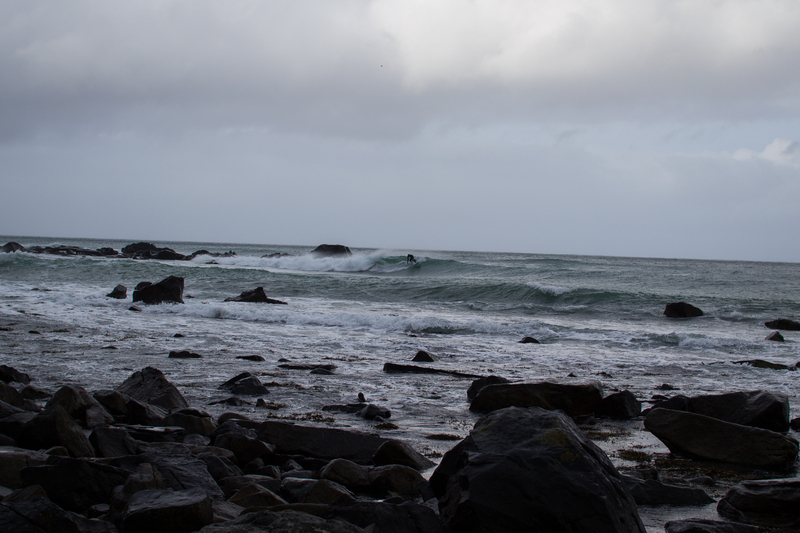 With this, and several other reasons, I’m proud to say that I’m a team rider for Ervik Surfshop. Tell me about your relation to Stadlandet, Hoddevik and Ervik. It started as a result of my relation to my best friend Trond Wirstad, also a surfer from where I grew up. He introduced me to Stadlandet, around four or five years ago. Since then, we have travelled to the west coast as much as possible. It is hard to not develop a loving relation to Stadlandet, and for me it has become the best, and most beautiful place in the world. Every swell is different and you never know what kind of waves you will get. The only thing you can know for sure is that the waves usually are really good and that you will enjoy every minute you spend there. You ride our 5´10 Vektor and our 5´11 Trustor. Why those boards? Both the Vektor and the Trustor are really playful. I usually surf the Vektor with a three-fin setup that works great on both small, as well as bigger, swells. Because of the volume in the front, the board it catches tons of waves. The same applies to the Trustor, but here I usually surf it with a twin-fin setup. This gives you a fast grip on the water but still a opportunity to do fast and short turns. For Norwegian conditions, both boards are perfect! Maybe not professional, but I have been competing and filming freeskiing for eight years. I have done both competitions in Norway and Europe, couple of film segments in Wordup Projects freeski movies and done some powder skiing in Japan. I went to the Norwegian College of Elite Sport School, and Freesking has been a big part of my life. I finished skiing some years ago and it’s not by coincidence that surfing came into my life at that time. Why did you choose surfing instead? Surfing gives me what other activities does not. The joy can be compared to riding powder skiing in Japan, but still not the same. Since I started surfing around four or five years ago I have been privileged to experience some beautiful waves in Sri Lanka, Indonesia and Hoddevik and Ervik off course. When you are surfing, you are just a small part of the raw power of nature. You can’t modify or change your surroundings in any way; you just have to find a way to adapt in the best way as possible. And it is beautiful! I want to share all the joy Ervik Surfshop is giving me and hopefully show people why a trip to the shop on your way down to Ervik will give you a memorable adventure filled with surf and happiness. Thanks a lot Sjur. We love you and welcome you to the team!